This is a faithful reproduction of a unique bound manuscript dated 1942 presented to the Local Studies Collection at Loughborough Public Library by the author H.W. Cook Esq. Vice-Chairman of Loughborough Public Library Committee. Copies of the softback book are available for a minimum donation of £7 at The Local and Family History Centre at Loughborough Library. Postage will be charged at £3 for first class post and £2 for second class post per copy if required. 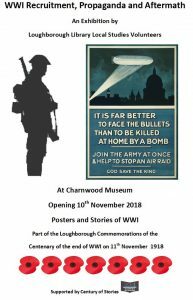 Cheques should made out to Loughborough Library Local Studies Volunteers (name in full) and sent with details of address to send the publications to and number of copies required to Sharon Gray, Local and Family History Centre, Loughborough Library. Granby Street, Loughborough, Leicestershire, UK, LE11 3DZ. 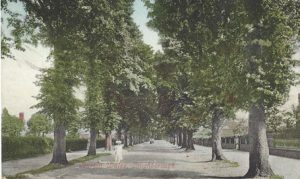 In his new pamphlet Mike Shuker explores the history of the Suffragettes in Loughborough from the 1870s when Mrs Jane Ronniger of the National Society for Women’s Suffrage addressed a meeting at the Town Hall. He discusses the 1913 ‘outrage’ when there was an attempt to set fire to the ‘Red House’ on Burton Walks and many more fascinating details. 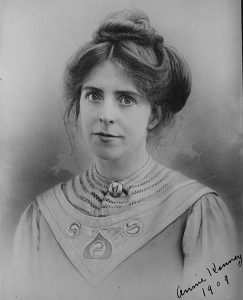 There are also pictures of Kathleen Corcoran, Annie Kenny and Charlotte (Charlie) Marsh. Available free, copies are available at the Town Hall and at the Charnwood Museum. Third Lord Macaulay Lecture at Rothley Temple on 9 January! This lecture will address Macaulay’s (in)famous 1835 Minute on Education. 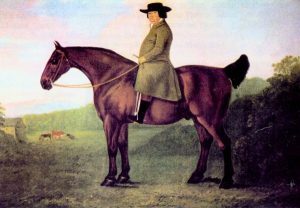 Rather than seeing this Minute as an expression of power and narrow-mindedness alone, the lecture will consider the distinctive anxieties about colonial rule and the English language, which underlie the Minute, as well as some of its contradictions. It will contextualise the ideas in the Minute in relation to some of Macaulay’s other writings, in which he grappled with the meanings of the term ‘English’, and will also consider it in relation to his larger ideas about nation, family, home, and ‘progress’. The lecture will end by exploring some aspects of colonial English in India, and what this says about the British sense of their identity in India as well as their sense of their ‘own’ language during the age of British global expansion. 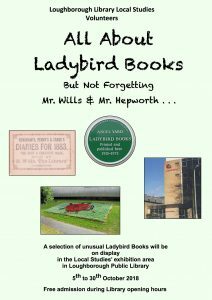 New Ladybird Exhibition in the Library! The event will be opened by Professor Jackie Labbe from DMU, hosted by Robin Jenkins, Senior Archivist for the Record Office of Leicester, Leicestershire and Rutland,and closed by Colonel Murray Colville, Vice Lord-Lieutenant of Leicestershire. A buffet lunch will be provided. There will be an opportunity to talk to the researchers, alongside stalls and displays about the topics presented. This all-day event is free to attend. Spaces are limited, so book your ticket now! 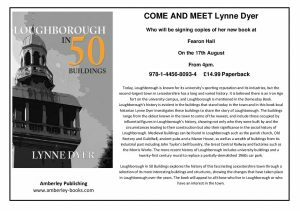 Loughborough in 50 Buildings – New Book by Lynne Dyer!